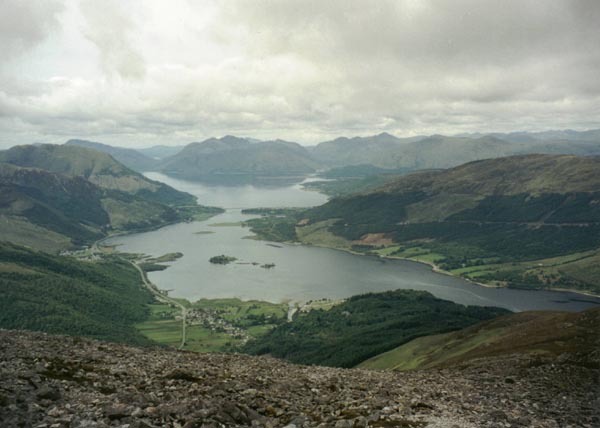 Pap of Glencoe Walk, Loch Leven, Sgorr na Ciche, Bidean nam Bian, Ballachulish, Loch Linnhe. 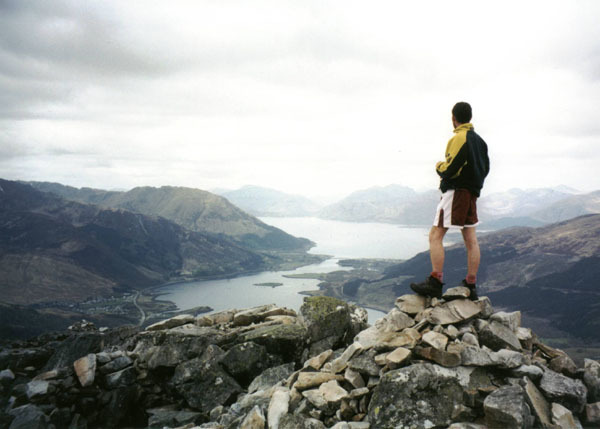 The Pap of Glencoe is perhaps one of the best known mountain landmarks in this part of Scotland. Rising proudly from the shores of Loch Leven the peak - Sgorr na Ciche to give it its Sunday name - stands guard over the road leading into Glencoe and offers some spectacular views south to the hulk of Bidean nam Bian and west across the Ballachulish bridge and Loch Linnhe to Ardgour. As you rise into the col between the Pap and its bulky neighbour Sgorr nam Fiannaidh - a Munro at the western end of the fearsome Aonach Eagach - there are stunning vistas north east to the Mamores, above Kinlochleven. The ascent is relatively straightforward but hard work all the same, given you are embarking upon the 2430 foot climb from just about sea level. You can either set off on foot from Glencoe village - about a mile west of the end of the track where you leave the tarmac behind - or park in one of a number of small laybys (just avoid leaving your car in a passing place or at the start of the track where there are prominent 'no parking' signs). The way leaves the road next to the edge of the forest, passing through a metal kissing gate by fenced animal enclosures. A few yards on there's an unlocked wooden gate to negotiate before the gravel track begins the ascent, rising past a cottage on the left towards a small North of Scotland Water Authority (NoSWA) compound. Before this is reached, an obvious path bears right, running level across the open hillside where shaggy Highland cows are often to be found grazing. The route crosses a burn running down through a deep cutting and curves left, ascending more strenuously once again up the edge of the gorge. This is a fine test of stamina as there is little respite from the climb, other than to stop periodically to admire the view. Provided your knees haven't given, the gradient eases higher up as the black peaty path skirts out along the hillside towards the rocky slopes below Sgorr nam Fiannaidh, before switching back on itself to curve north into the col below the Pap where a flat rock provides a good seat for a well-earned breather. From here, drop down to cross a small burn and, on the other side, the climb on to the rocky summit begins. The path meanders up over well worn grass and heather before cutting a course over the stone-strewn slope. The easiest ascent involves skirting right, around the peak, the path curving round the eastern flank of the Pap to conclude its journey on the northern face. However, for those with a sense of adventure there are plenty of opportunities for some easy scrambling over the rock and scree. 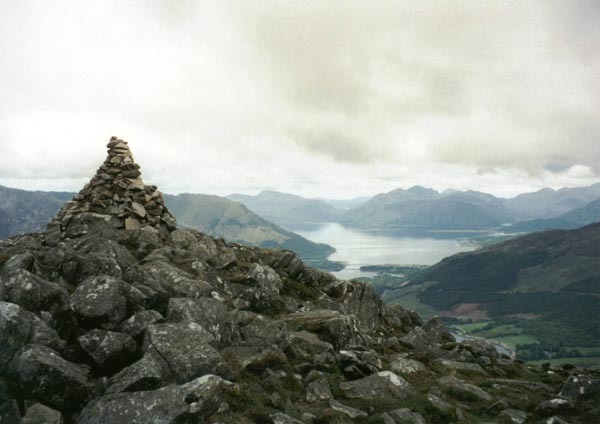 A large cairn marks the top. Nearby there is a smaller cairn, embedded into which is an unusual memorial plaque to a two-year-old child who died in a road accident. Descend from the top by the route of ascent and return to the col. From here, you can return home by the same path. Alternatively, another path follows the northern side of the burn down over the open hillside. Lower down it skirts out in a north-westerly direction across the slope before dropping down past the NoSWA enclosure to rejoin the path next to the gravel track. Retrace your steps from here to the start. Map OS Landranger 1:50,000 sheet 41. 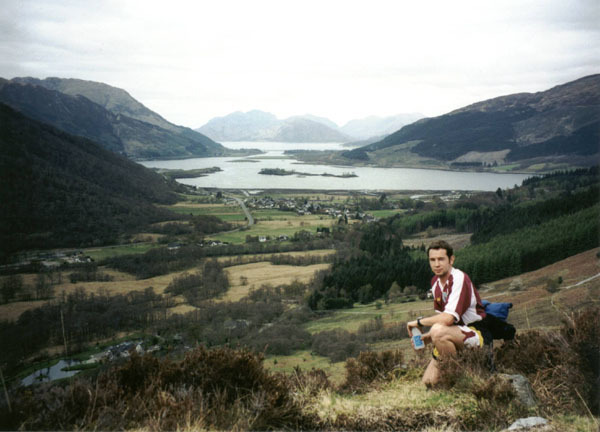 Start Glencoe village or track-end by the edge of the forest at grid ref NN 112586. Parking Public car park in Glencoe village (with toilets) or small roadside laybys near track-end. Grading A steep ascent with some easy scrambling towards the summit. 172 free walks in total! Copyright © WalkScotland.com. All rights reserved.